This painting was created in the year Nolan completed his first Kelly series. The artist produced numerous portraits, particularly of the heads of the bushrangers, but this is one of the few close-up portraits of a police trooper. Nolan often worked from photographs, and the work is likely to be based on a photograph of Constable McIntyre (taken c.1870-81) who infamously escaped from the Kelly gang by hiding down a wombat hole. 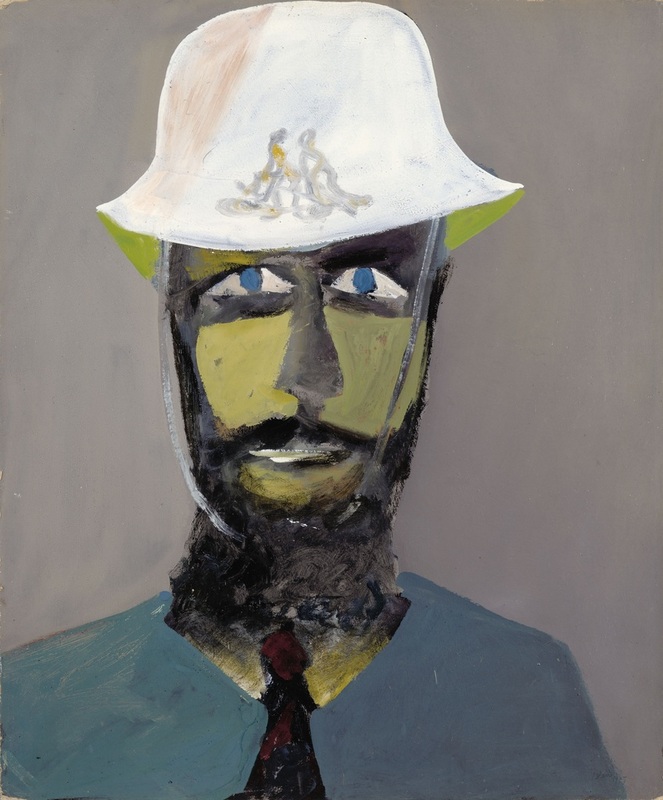 In contrast to many of Nolan’s close-up images of Ned Kelly (such as Kelly and Scanlon) in this portrait the police trooper’s face is expressionless and, adding to the mood of the painting, the figure is set against a monochromatic grey background rather than a bush landscape.